There are a myriad of amazing things to do in Jackson, MS; with a rich history and numerous attractions, this city offers a never-ending supply of fun activities. 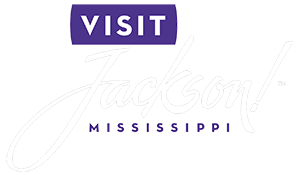 One event you don’t want to miss while exploring this city is the famous Jackson Rhythm and Blues Festival! Featuring two days of incredible concerts and performances, this annual festival is a thrilling celebration of some of the best rhythm and blues artists of our time. Learn everything there is to know about this upcoming event so you can mark your calendar today! The 2016 Jackson Rhythm and Blues Festival will be held August 19-20 at the Jackson Convention Complex. Without a doubt one of the finest event venues in the state, this expansive center encompasses 330,000 square feet in downtown Jackson, providing plenty of space for the best events and festivities! This venue also includes 3 separate parking lots so you shouldn’t have a problem finding a good spot. You won’t believe some of the artists that will be at this year’s Jackson Rhythm and Blues Festival! Over 30 different performances will take place throughout these two days, featuring artists like T-Pain, Jagged Edge, Kenny “Babyface” Edmonds, Lalah Hathaway, Tamia, BJ the Chicago Kid, and many others. There will also be numerous food vendors stationed throughout the area selling mouthwatering meals, so make sure to grab a delicious snack in between shows! Check out their website for the full lineup of musical performers as well as which vendors will be attending. The tickets for this can’t-miss event can be bought online through Ticketmaster. Being such a widely known event, these tickets are bound to sell out fast so get yours today before they’re all gone! In addition to the many exciting annual events, Jackson, MS, is a beloved vacation destination for many other reasons! This city is home to some incredible, award-winning restaurants that will provide you with a meal you’ll never forget. You can visit some fascinating historic sites or even go on a spooky ghost tour to learn more about this area’s mysterious past. No matter what you choose to do, you’re guaranteed to have a blast in Jackson, MS! Come Stay with Us at Fairview Inn Bed and Breakfast to Enjoy Jackson to the Fullest! Make the most of your trip to Mississippi for the Jackson Rhythm and Blues Festival by staying in the finest accommodations while you’re here! Fairview Inn is the perfect place for you to unwind; our bed and breakfast in Jackson, Mississippi, not only offers comfortable rooms and suites, a luxurious spa, private lounge, library, and game room, but we also have our very own restaurant, 1908 Provisions, for you to enjoy. Choose from exploring the many attractions of downtown or simply reveling in the comforts of our cozy inn and its relaxing, peaceful environment. You’re bound to love what we have to offer in our rustic haven of Mississippi, so don’t hesitate another moment; check our availability and book your stay today! To learn more about the many things to do in Jackson, MS, download our free Vacation Guide today! Your List to the Best Local Events in Jackson, MS — Enjoy an Evening Out at the Amazing New Stage Theatre!